Who knew that Sen. Rand Paul (R-KY) would be the most vocal defender of President Trump this week? Yet, there he was, rallying to 45's side after his infamous presser with President Vladimir Putin, which has not been received well on either side of the political spectrum. That's because during the press conference, Trump missed an opportunity to rebuke Russia for interfering in our elections. Instead, Trump appeared to question his own intelligence community. 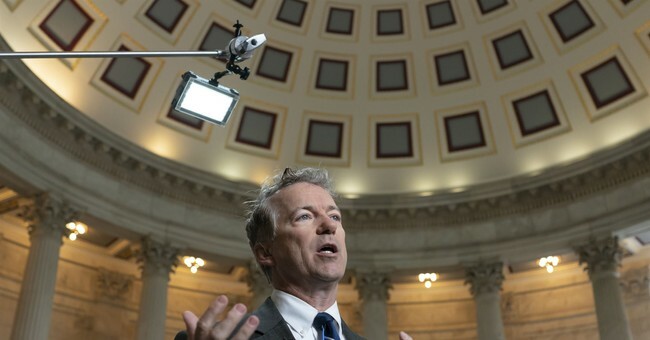 “The president has gone through a year and a half of totally partisan investigations - what’s he supposed to think?” Paul said in defense of the president. The president appreciated Paul's comments, giving him some rare praise on Twitter. The senator also made the point that Russia is not the only one to spy on other countries. "All countries that can spy do; all countries that want to interfere in elections and have the ability to, they try," he noted. One of Trump's loudest critics in the post-Helsinki fervor was former CIA Director John Brennan. He called Trump a traitor. Again, Sen. Paul sided with POTUS, at the same time torching Brennan's integrity. Brennan is not alone, however. Other former intelligence officials are so frustrated by Trump's display in Helsinki that they are telling current FBI and CIA agents to resign. "I do think that senior officials in the intelligence community need to ask themselves whether they can continue to serve this president and represent the men and women in the intelligence community in a way that is positive," according to former acting and deputy CIA director Michael Morell.